The LIFTKAR PT-FOLD features advanced stairclimbing technology and can handle any challenge. The 130 model is designed for people up to 130 kg while the 160 is for people up to 160 kg. The soft upholstered and ergonomically-shaped seat guarantees a comfortable ride. 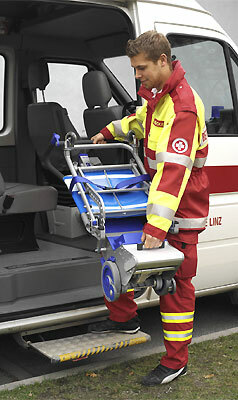 The Liftkar PT-FOLD 130 is a perfect daily solution for your mobility problem in a homely environment or a public building and especially for the rescue services.